Now, you are not limited to use Kiosk to print your ticket only at airport. But with Ticket2u Exhibition Kiosk, you can now bring this technology on your event for your event guest! We love finding out about new products that are designed to make the life of event planners easier. One area of event planning that is traditionally a headache is event registration. Well, not any more! Forget manual registration! Forget paper and go green with paperless registration! Forget about hiring 10-30 crews on registration counters! Forget pre-printing and collection of hundreds of name badges before an event. Forget setting up metres of trestle tables to display name badges. 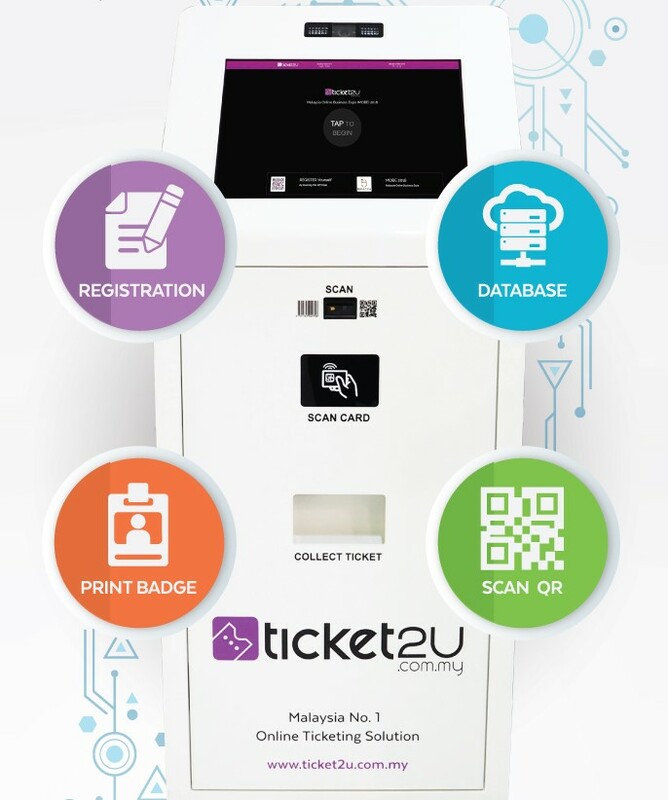 Forget all those annoying things related to event registration and let us introduce you to Ticket2u Exhibition Kiosk! The First Interactive Exhibition Kiosk in Malaysia! 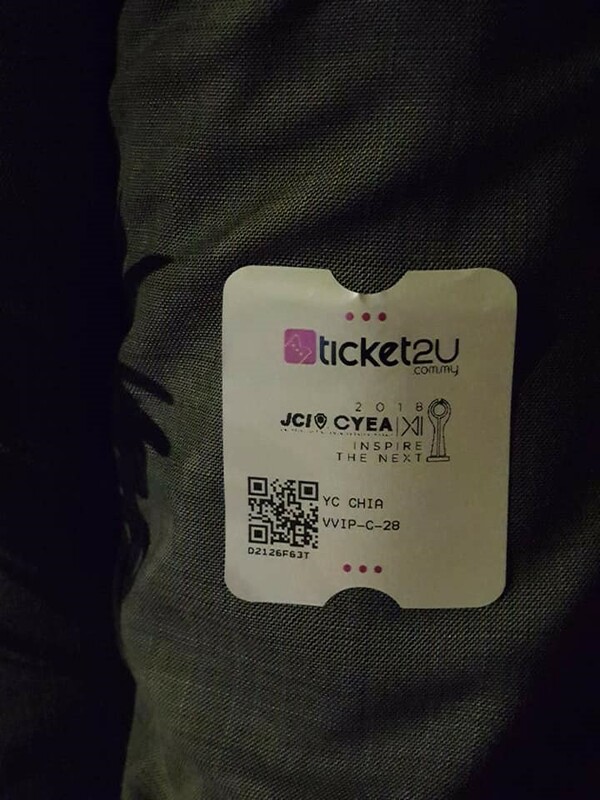 Ticket2u.com.my are No.1 Online Ticketing Solution in Malaysia who has the largest number of event selling per month and the highest traffic among other Malaysia’s online ticketing portal. Ticket2u Exhibition Kiosk is the brainchild of Ticket2u.com.my who also supply Event Registration and Event Management Services who also well-known and experts in event technology. 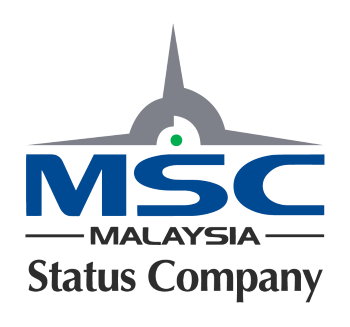 It’s a pure Malaysian made product, owed by Cloudhax Sdn Bhd and recognised as MSC Status Company. So let’s take a look and explore how Ticket2u Exhibition Kiosk can make your event registration a whole lot easier. Yes! 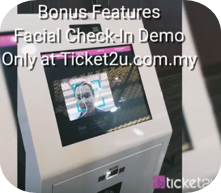 Ticket2u Exhibition Kiosk are equipped with Facial Recognition! You can pre-register your client facial and check-in on event day easily! 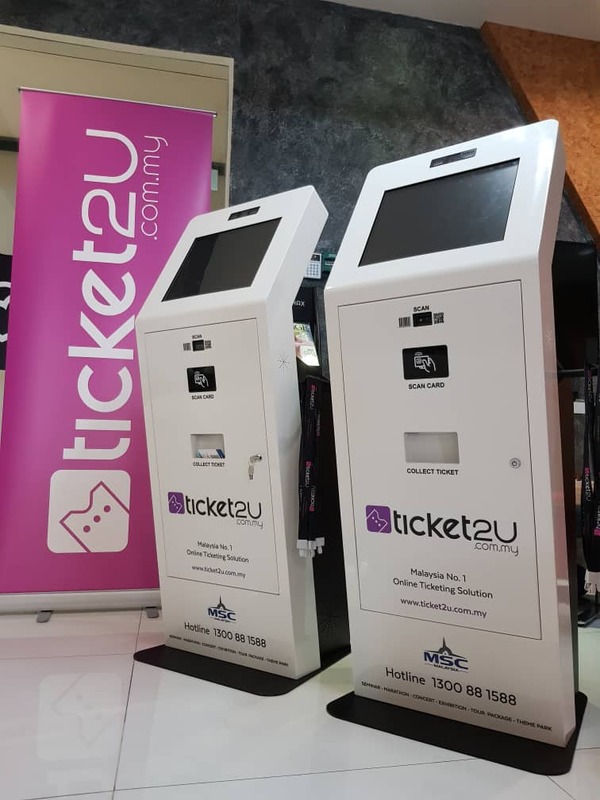 What does Ticket2u Exhibition Kiosk do? Ticket2u Exhibition Kiosk is an elegant and white looking kiosk that is installed at the entrance of your event. On arrival guests are directed to an individual kiosk to Register or Scan their attendance and Print Badge. 1. Guest can choose to pre-register / purchase ticket online themselves before the event at Ticket2u.com.my. 2. Guest can register on the spot by scanning a QR Code with their own mobile phone. After that head to Ticket2u Exhibition Kiosk to Scan and Check-In + Print Badge. 3. With an easy to use interactive touch screen kiosk, guests can register on-the-spot and walk seamlessly into the event. It’s kind of like self check-in at the airport, but this is for your event! How does Ticket2u make onsite event registration easier? 1. Ticket2u Exhibition Kiosk replaces the need for registration desks – pack away the trestle tables and make your entrance open and inviting! 2. Ticket2u Exhibition Kiosk saves time and money by only printing out name badges for those that attend your event. 3. Ticket2u Exhibition Kiosk can allow guests to easily find their pre-registered details via QR code, contact or name. Plus, it can allow unexpected guests to register on the spot! 4. Ticket2u Exhibition Kiosk makes post-event data collection easy. 5. 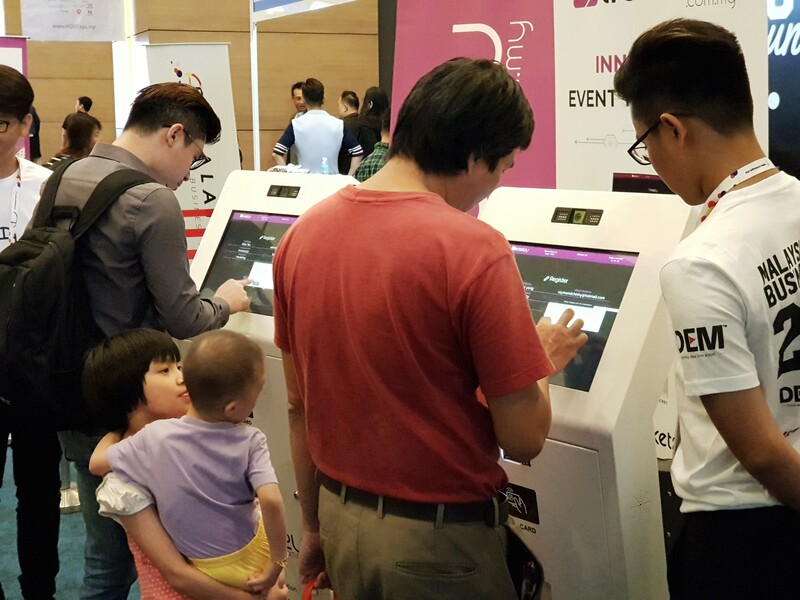 Ticket2u Exhibition Kiosk integrated with Lucky Draw System for Checked-In Guest immediately. 6. Ticket2u Exhibition Kiosk integrated with Treasure Hunt System. 7. Ticket2u Exhibition Kiosk provide alert notification to event organiser to get alert or reject on certain delegates check-in. 8. Ticket2u Exhibition Kiosk equipped with Facial Recognition Feature to can be use for your elegant and special occasion events. How Ticket2u Exhibition Kiosk look like? Ticket2u Exhibition Kiosk looks like a super stylish stand with a Touch Screen on top, RFID Scanner, QR Code Reader, and Thermal Printer. The system can be customised with your company branding, customise the welcome message and logo on the screen too. 1. 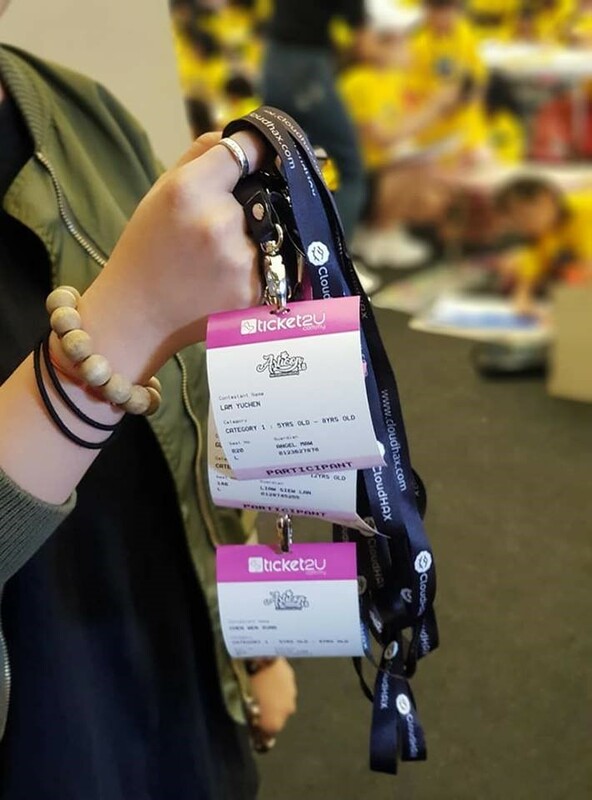 Lanyard sized name badges can be custom designed to include the guests name on one side and any further information on the other side, eg a conference schedule, exhibition map or other details. 2. Sticker style is just that – a name badge guests can print out and stick straight on their label. Best for Gala Dinner, Seating Chart, and Theater events. 3. PVC Card – cost higher, but stylist, elegant, just like any of your access card or credit card size, durable and can be customized for content, images, or even faces. 4. Concert Ticket style. 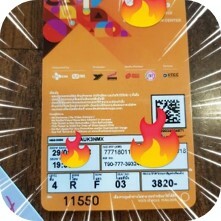 With pre-printed standard rules and regulation on back of ticket. Thermal print event details, logo, sponsors, qr code, venue and seats. How many Ticket2u Exhibition Kiosks will you need at your event? After understanding your event specification, Ticket2u Event Coordinator will recommend you to have at least two, four or more Kiosk according to your event size, guest, venue, and budget. What type of events is Ticket2u Exhibition Kiosk suitable for? Exhibitions, conferences, gala dinner and networking events. To work, it just needs power, network, badges and a little space. When you book the kiosks for your event, Ticket2u team will manage the set-up, installation and pack down for you. Leave the worry to us. You can pre-register your event, or pre-sale your ticket online at Ticket2u. You can also import your offline delegate into your event list. Ticket2u Exhibition Kiosk will be work seamlessly with the online data either on online or offline mode. This will allow you to collate and manage pre-event registration before the event. How do you book Ticket2u Exhibition Kiosk for your event?